Dustless Blasting is an eco-friendly process, that creates less mess by using recycled material. It does not kill grass, or warp metal. Dustless blasting is safe on aluminum, fiberglass and steel. The process will NOT damage the gel coat on the exteriors of boats. Our system completely removes paint, rust and chlorides, leaving a paint ready surface. We are also mobile, so there is no need to tow your vehicle to us; We can blast right where you are! 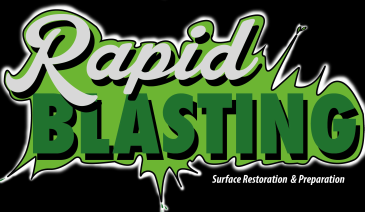 "GET IT DONE FASTER WITH RAPID BLASTER"
Fast, Easy, Mobile & Environmentally Friendly!